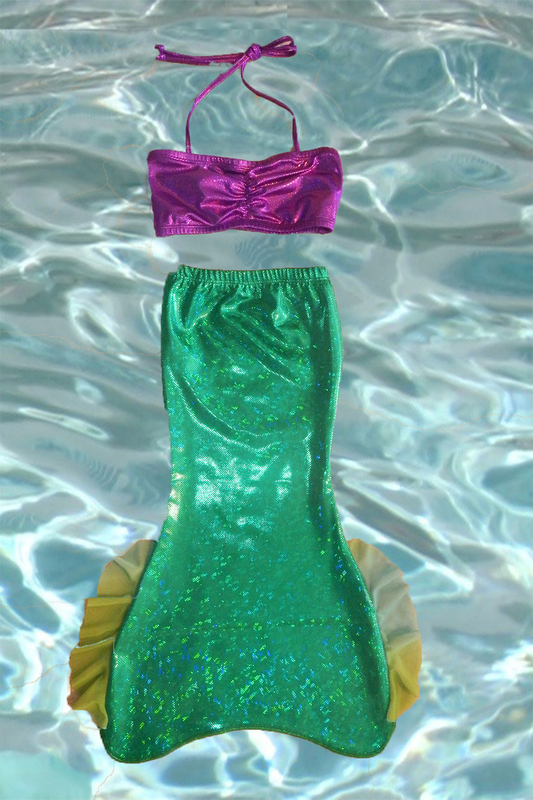 Our Toddler Mermaid Tails are perfect for your little Mermaid – just learning to swim. 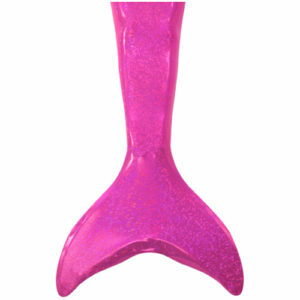 We have left the bottom of the tail open, so that feet and legs are free to kick. 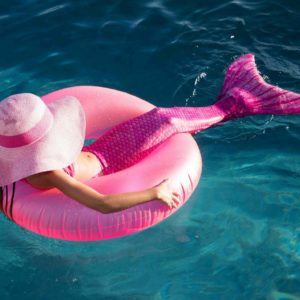 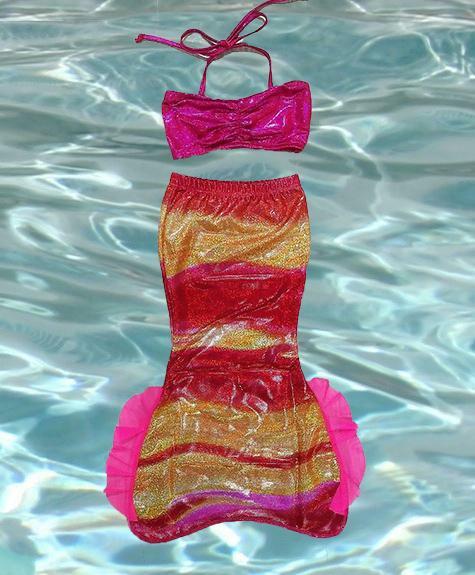 Made from our same high quality sparkly nylon/ spandex swim fabric – your Little Mermaid will love to get into the water to learn how to swim (with Parent, of course)! 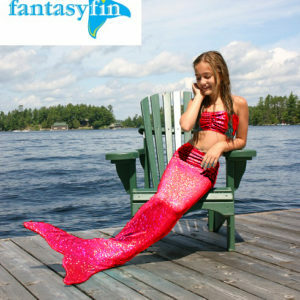 We’ve even added little Hot Pink side waves – unique for our Toddler Mermaid Tails.